Eric Lauer has a calm confidence about him that will lead him far in the game of baseball. 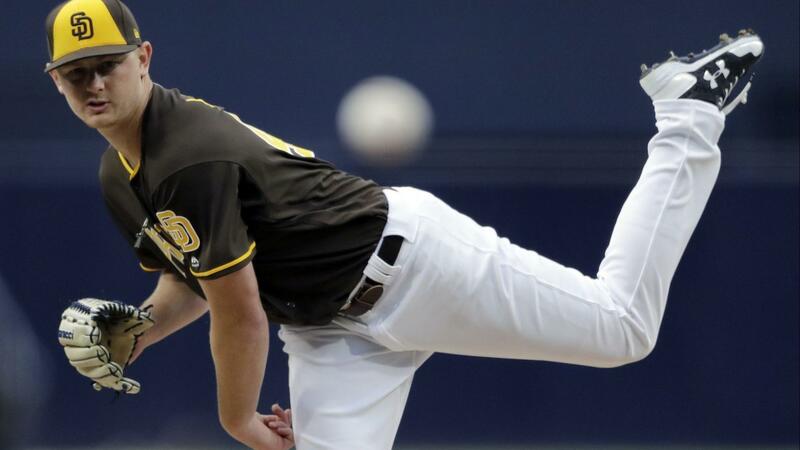 The 2019 San Diego Padres are armed with a developing young offense and a very promising pitching staff. Much of the winter there was speculation that the team needed an “ace” to be truly competitive in the coming years. With the emergence of several young hurlers, the Padres have plenty of arms who could possibly be labeled as an ace one day. Chris Paddack is currently putting up numbers that deserve recognition. The right-handed pitcher should blossom into a top end starter when it is all said and done. Beyond him, pitchers like Cal Quantrill and Logan Allen are close to making their major league debut. Each should sniff major league action at some point in 2019. The farm system for the Padres is stocked with capable arms at virtually every level. And that includes the major league team. Currently, Eric Lauer, Joey Lucchesi, Jacob Nix, and even Matt Strahm provide a youthful rotation for the team. 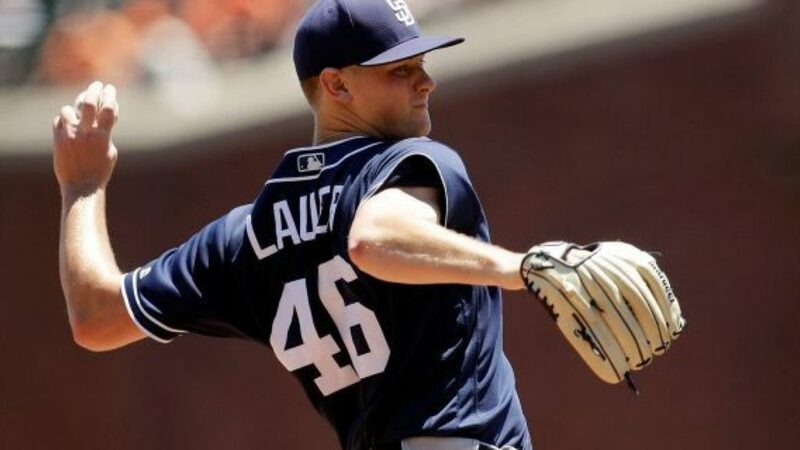 Each pitcher is battling for a rotation spot and has many supporters, but Eric Lauer is clearly becoming a fan favorite. His “nobody likes the Dodgers” quote from last year endeared himself to the entire Padre fan base. The following quote, given this past week in Peoria, is probably now second. 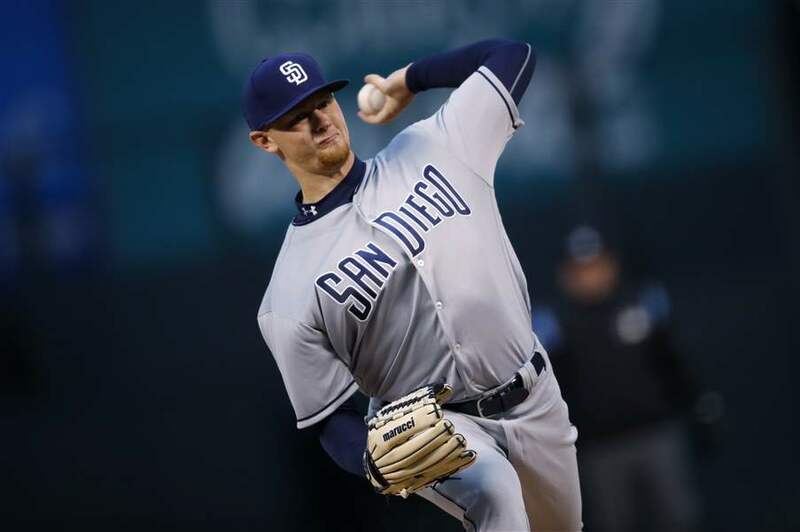 The left-handed pitcher from Kent State had an eventful rookie season in the majors and is looking for more consistently this coming season. At times last year, he looked dominant on the mound. There were times when he struggled too. That middle ground of consistency is what all baseball players desire. Better usage of his slider is what Lauer has been working on this spring. “It has been coming along well. I am just trying to get it to stay on the fastball plain a little longer. So batters do not see it out of the hand as well. Trying to make it a little harder on them,” said Lauer. At the time, he had been in the backfields working on the pitch. He made an appearance in Friday’s game against the Brewers and threw four perfect innings, striking out six. Lauer has yet to allow a run in the Cactus League. Rapsodo machines and edgertronic cameras are being utilized all over Padres camp. Lauer has joined the revolution though he hasn’t embraced it as much as some of the hurlers on the staff. “I actually haven’t looked a whole lot at them. We have it available. I am more of a feel kind of guy. It doesn’t really matter to me if I see it,” said Lauer with a grin. “It’s just not something that I grew up looking at,” said Lauer. He enjoys the extra information but is quick to point out that he is definitely more of a feel guy. The lefty worked hard this offseason to stay in shape. There is a strong desire to improve in 2019. “Just trying to gain strength and maintain that throughout the year. That is the biggest thing for me. To maintain the condition that I am in,” said Lauer. It’s not that he wore down last year, but Lauer wants to establish himself throughout the whole season. The A.J. Preller speech happened a few weeks ago and it is still fresh in the minds of the players. “I thought it was really cool. It just shows how much he really knows about us. How much digging they do to find us. They made sure they got the right guys they wanted in here. He is convicted that these are the guys he wanted here and this is the team he wanted to put out on the field,” said Lauer proudly. He loves being a part of this team. This is where Eric Lauer wants to be. “You can’t beat it in San Diego. Everyone always asks me if you were traded where would you like to go?- I always tell them I don’t want to get traded. It’s beautiful in San Diego,” said Lauer smiling. In strolling into the Padres’ locker room you get smacked in the face with confidence. It oozes out of every locker in the Peoria complex. “We are going to do some special things here this year and moving forward,” said Lauer. The team has made several additions to the team that has brought a sense of completion to the team. Francisco Mejia has worked well with Lauer. In 15 innings pitched with Mejia behind the dish, the left-hander has only allowed one earned run while striking out 19. As the stat was presented to Lauer, he raised his eyebrows a bit before speaking. “I like him back there. He learns pretty quickly on how I like to throw my games. The point in the season where I got him was when I was starting to feel more comfortable. There wasn’t much shaking off and I was calling my own game,” said Lauer. The more you hear about Mejia’s defense, the more content you get that he will be alright behind the plate. Pitchers enjoy working with him and Lauer isn’t the only one. The 2019 season should be big for the Padres. Lauer has some goals he would love to achieve. “I want for us to make a playoff run. I really want to make it to 180-200 innings pitched. I want to be that workhorse guy. A lot of quality starts and eat up innings. Also, keep the ERA as low as possible,” said Lauer. This coming season will be big for the lefty, as he begins to really grow as a pitcher in the league. Lauer and his calm, cool demeanor will take him far in the game.